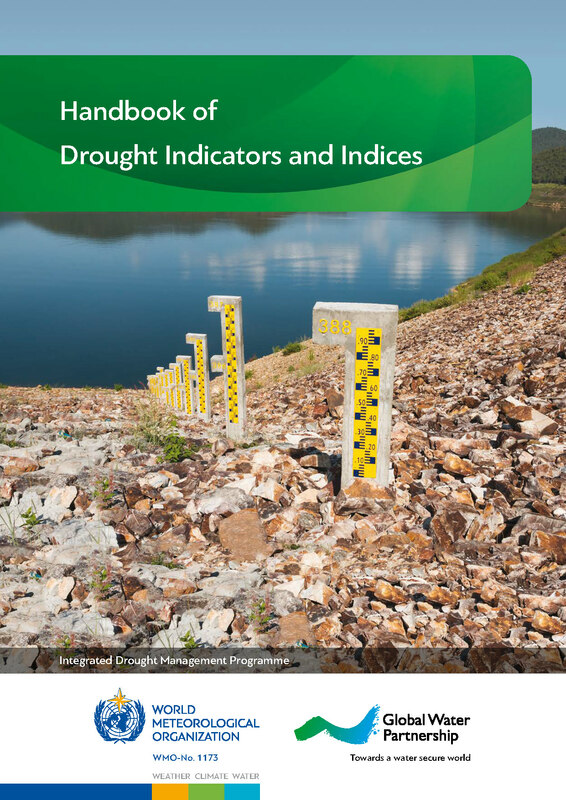 The purpose of this handbook is to cover some of the most commonly used drought indicators/indices that are being applied across drought-prone regions, with the goal of advancing monitoring, early warning and information delivery systems in support of risk-based drought management policies and preparedness plans. These concepts and indicators/indices are outlined below in what is considered to be a living document that will evolve and integrate new indicators and indices as they come to light and are applied in the future. The handbook is aimed at those who want to generate indicators and indices themselves, as well as for those who simply want to obtain and use products that are generated elsewhere. It is intended for use by general drought practitioners (for example, meteorological/hydrological services and ministries, resource managers and other decision-makers at various levels) and aims to serve as a starting point, showing which indicators/indices are available and being put into practice around the world. In addition, the handbook has been designed with drought risk management processes in mind. However, this publication does not aim to recommend a ‘best’ set of indicators and indices. The choice of indicators/indices is based on the specific characteristics of droughts most closely associated with the impacts of concern to the stakeholders.